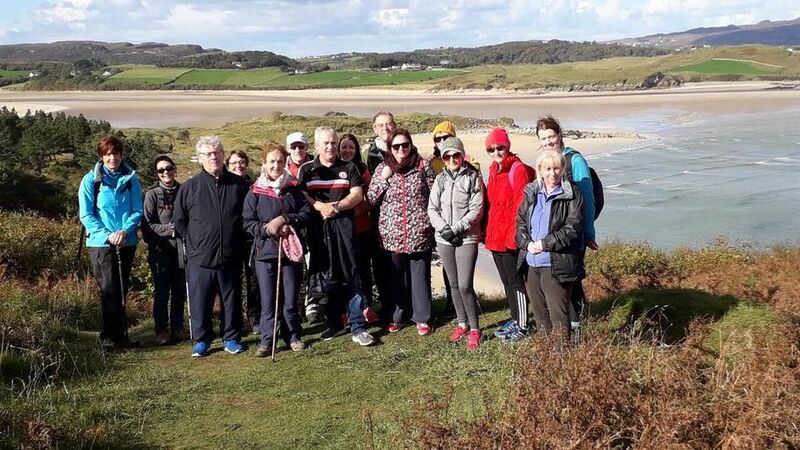 15 October 2018 Southern Area Hospice Services would like to thank all those who took part in their Autumn Walk recently. 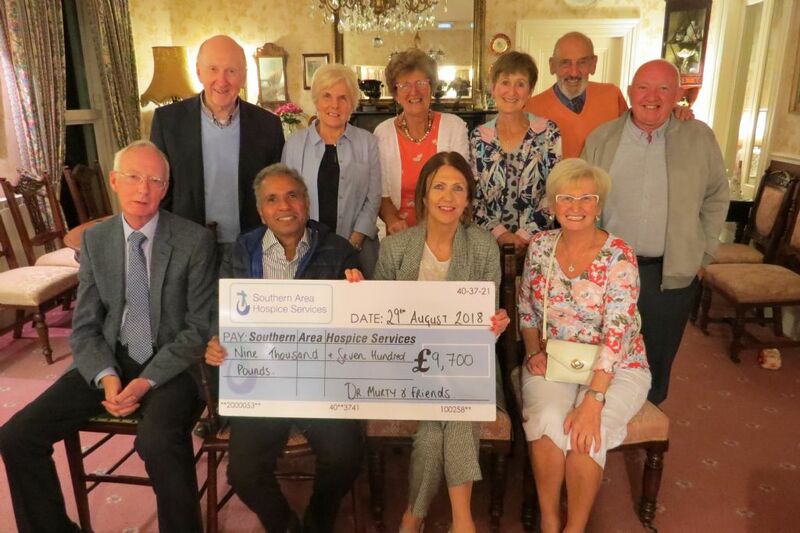 11 October 2018 This week Southern Area Hospice Services is celebrating the annual ‘Hospice Care Week’ campaign with a special announcement. 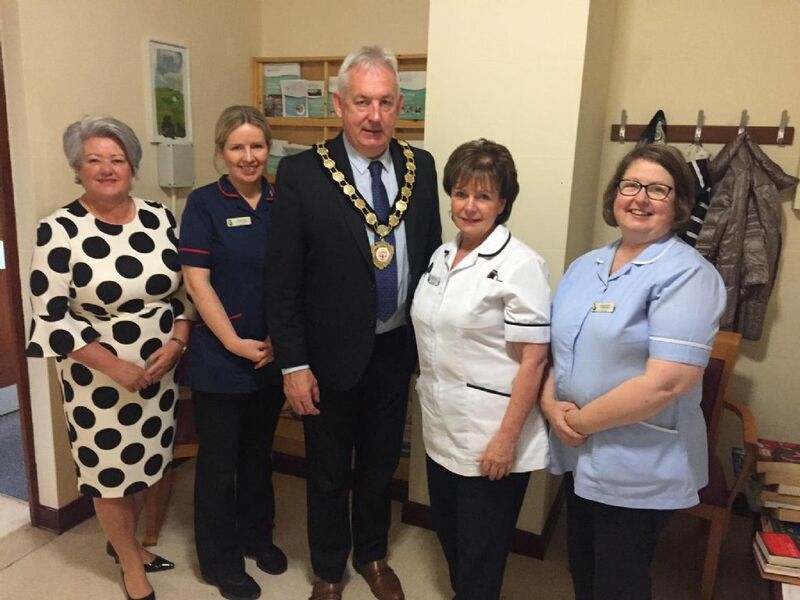 8 October 2018 Southern Area Hospice Services will celebrate Hospice Care Week from 8th-14th October with this year’s theme “Heart My Hospice. 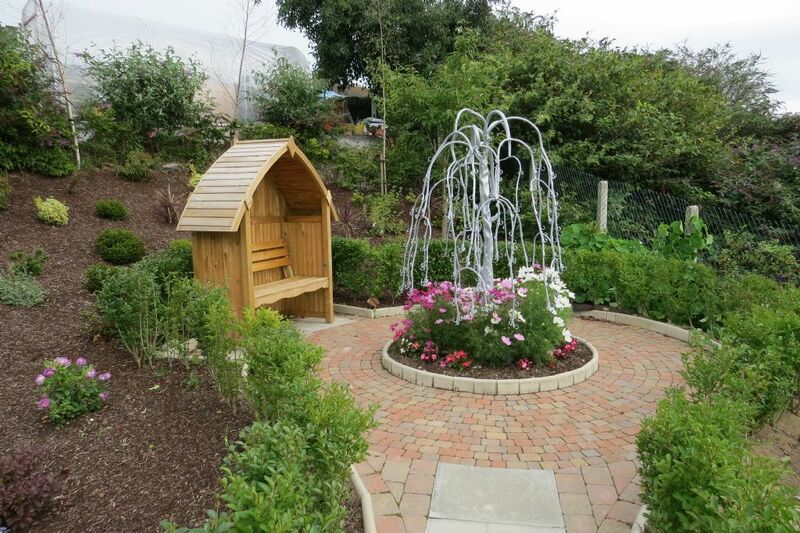 4 October 2018 The Chair of Mid Ulster Council, Mr.
4 October 2018 Southern Area Hospice invite you to dedicate a leaf on our beautiful, hand sculpted memory tree, which is situated in the corner of the Hospice gardens. 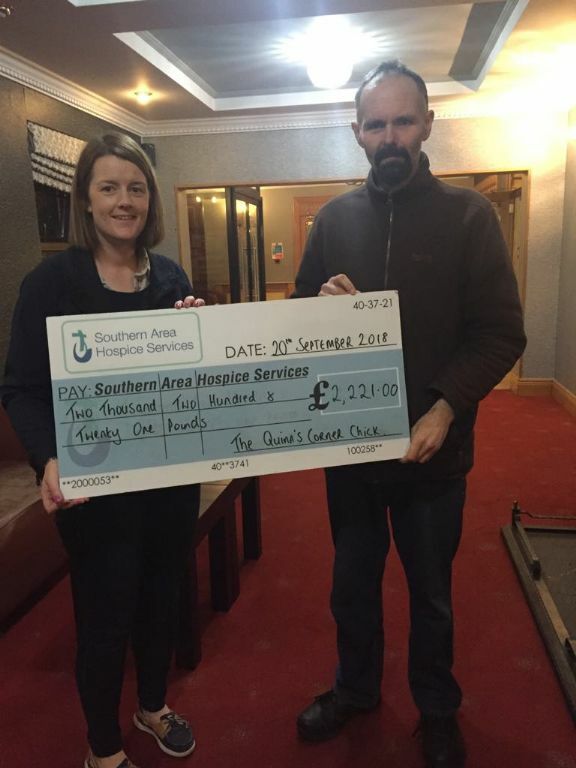 27 September 2018 Cormac Donnelly from Augher is pictured presenting Anne Mac Oscar of Southern Area Hospice Services with a cheque for £2,221. 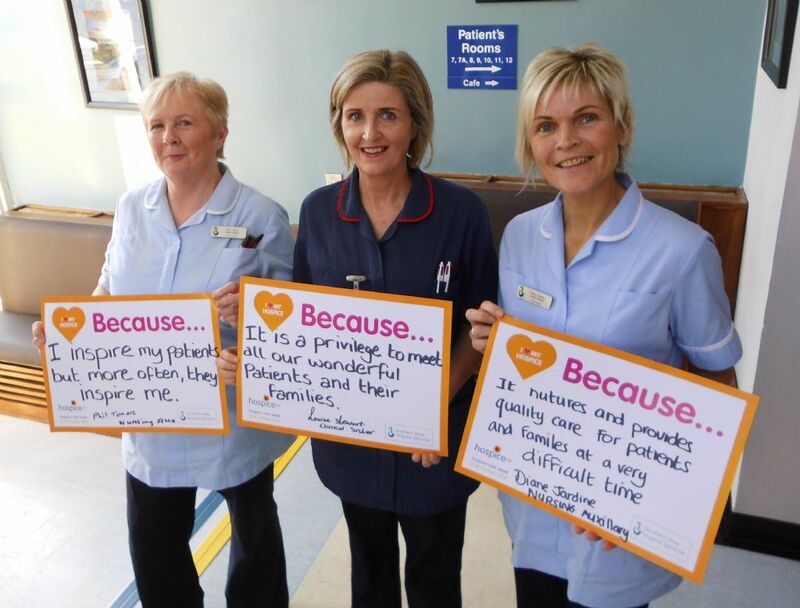 9 September 2018 This week from 9th – 15th September, Southern Area Hospice Services are celebrating Palliative Care Week and the difference palliative care makes to the lives of patients, families and carers. 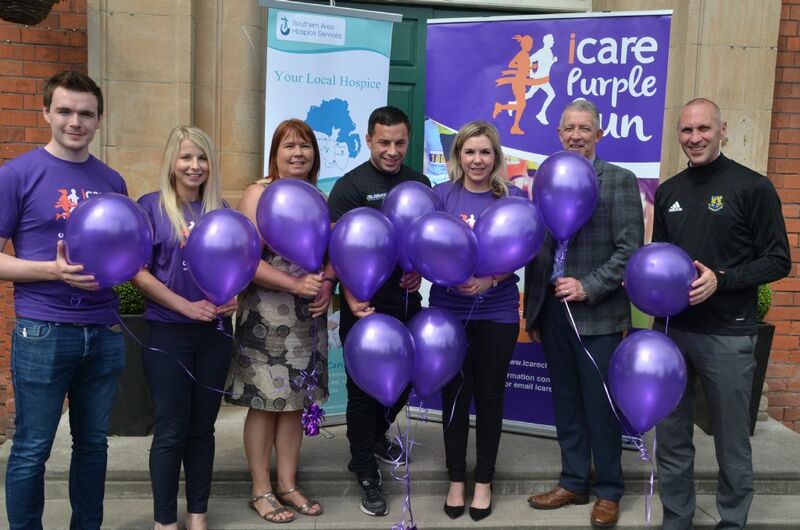 31 August 2018 Recently retired Dungannon GP, Dr.
30 August 2018 The sun shone on the movement of purple through Gosford Forest Park in County Armagh for iCare’s annual Purple Run, now in its third year. 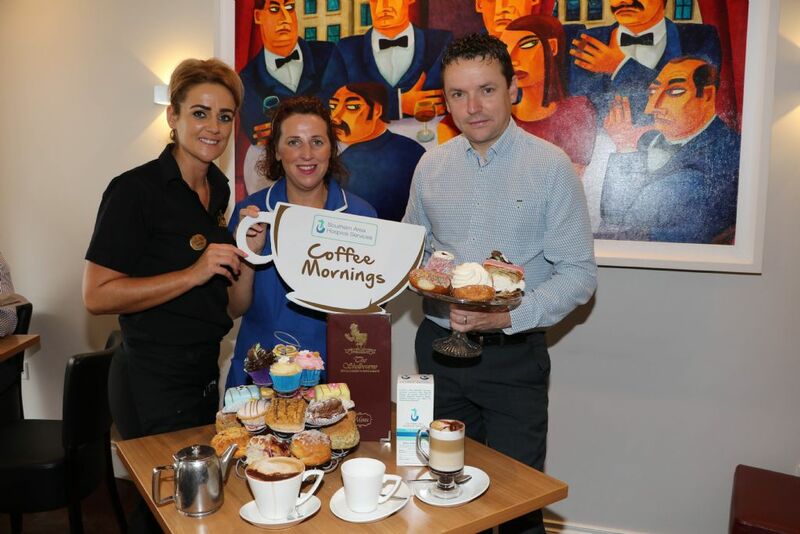 23 August 2018 Pictured at the launch of the Annual Hospice Coffee Morning which is kindly supported this year by the Shelbourne Bakery are Hospice Nurse Roisin Donohue together with Hugh Boyle and Nicola Short from the Shelbourne Bakery. 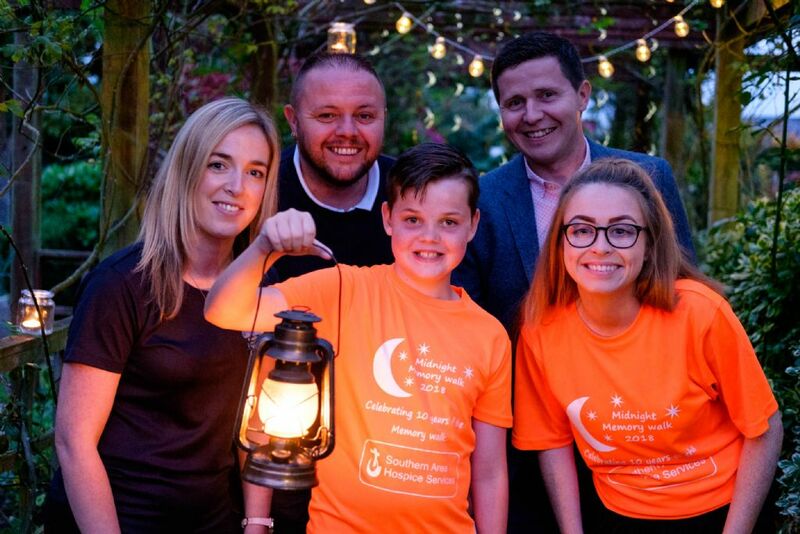 22 August 2018 Southern Area Hospice is delighted to launch their 10th Annual Midnight Memory Walk which will take place on Saturday 29th September 2018. 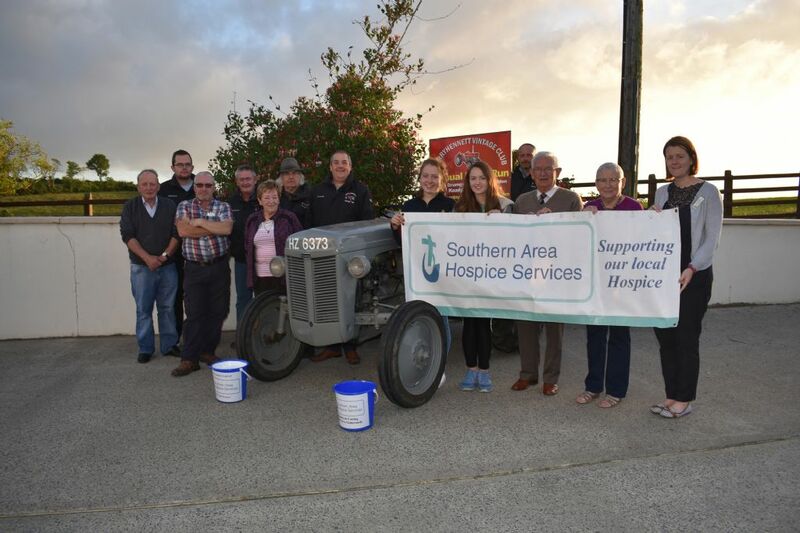 14 August 2018 Derryhennett Vintage Vehicle Club near Keady will be holding their 12th Annual Road Run this year in aid of Southern Area Hospice Services. 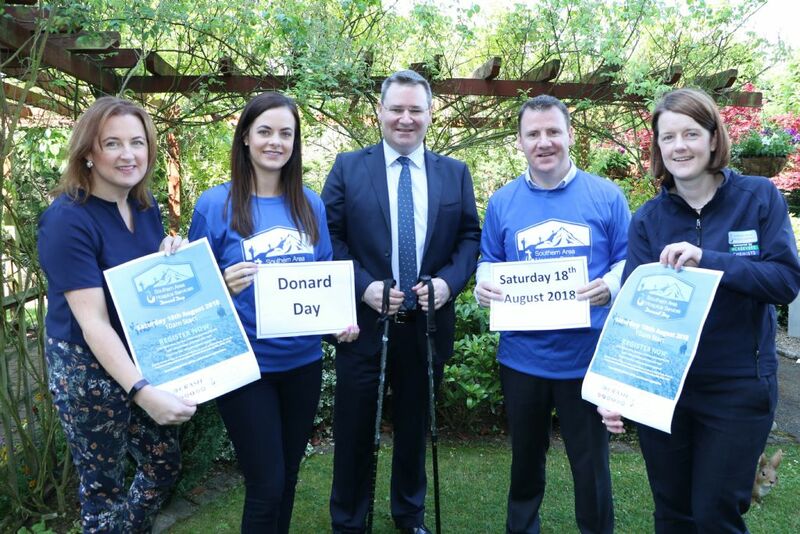 2 August 2018 Southern Area Hospice Services have issued a final call for people to get registered for their upcoming Donard Day Fundraising Event which takes place on Saturday 18th August 2018 in association with main sponsor, CRASH Services. 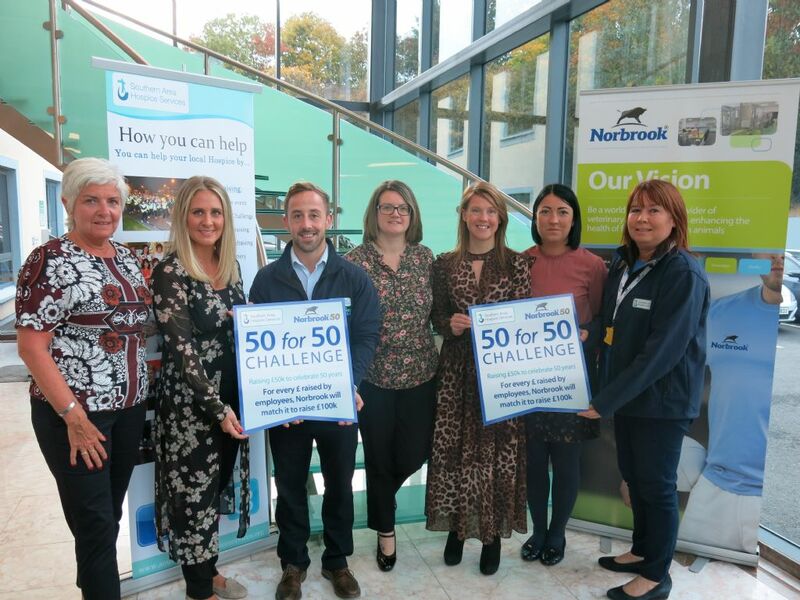 30 July 2018 Southern Area Hospice Services are delighted to launch their much anticipated Annual Hospice Autumn Walk which will take place on Saturday 6th October & Sunday 7th October 2018. 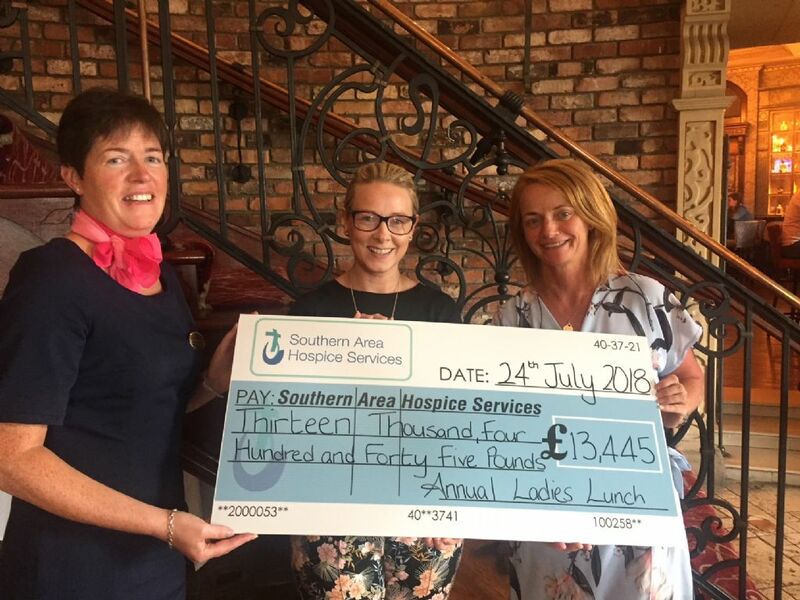 26 July 2018 This year, Southern Area Hospice Services received record numbers at their Annual Hospice Ladies Luncheon with over 350 ladies in attendance. 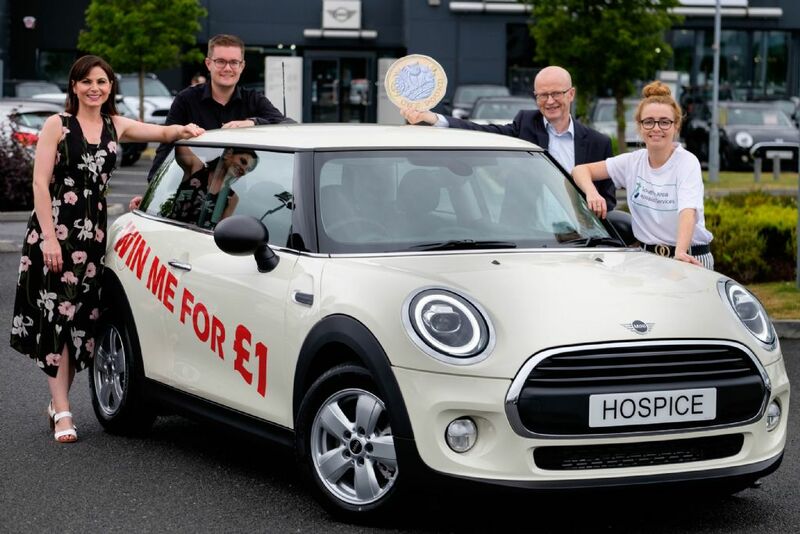 24 July 2018 Southern Area Hospice is excited to finally reveal the brand new Mini One chosen for this year’s Annual Car Raffle Draw. 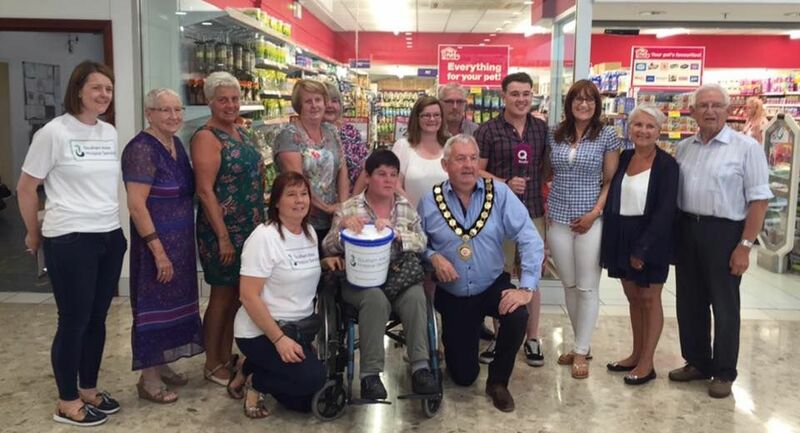 4 July 2018 Southern Area Hospice Services Car Raffle draw, which is in association with the Oaks Centre, Dungannon and Saltmarine Cars took place on Saturday 30th June 2018. 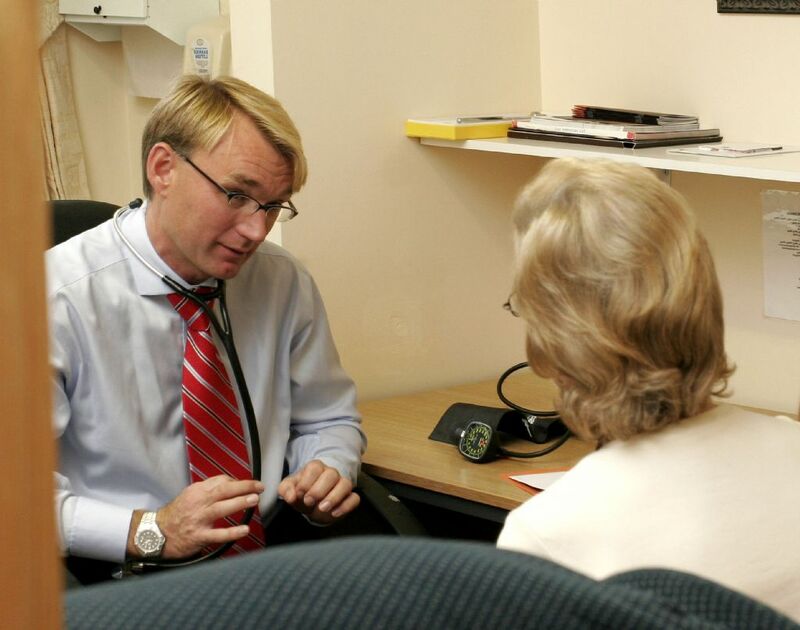 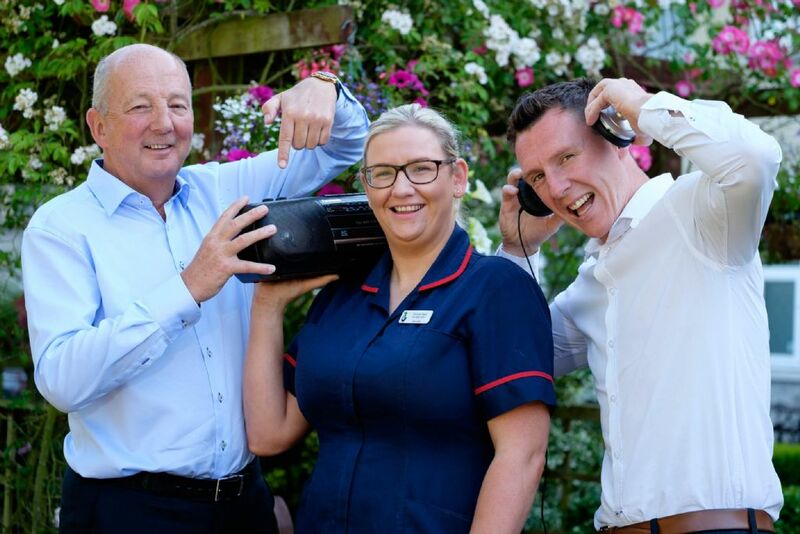 2 July 2018 Thank you to Gordons Chemists for their continued generosity of sponsorship which has allowed Southern Area Hospice Services to run a radio campaign with Q Radio?over the next 12 months. 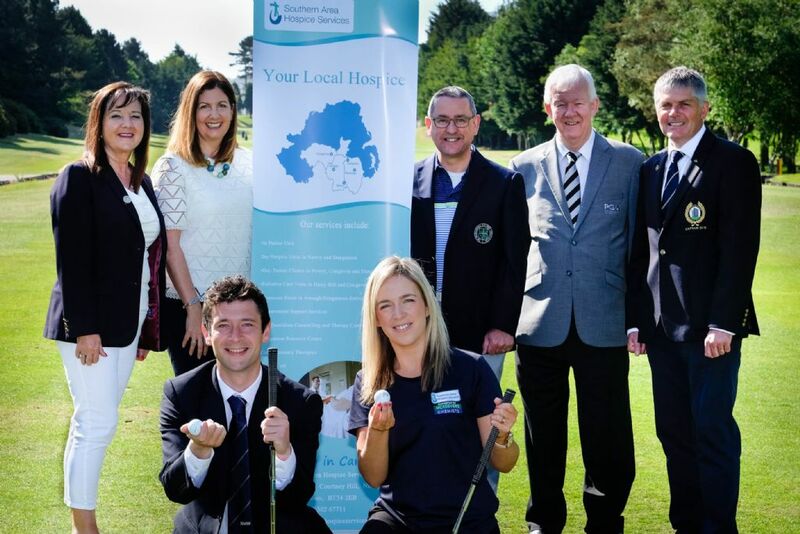 29 June 2018 The tournament, sponsored by Prentice BMW, Portadown and supported by Autoline Insurance Group, Newry will feature some of Ireland's leading PGA professionals competing alongside teams of three amateurs. 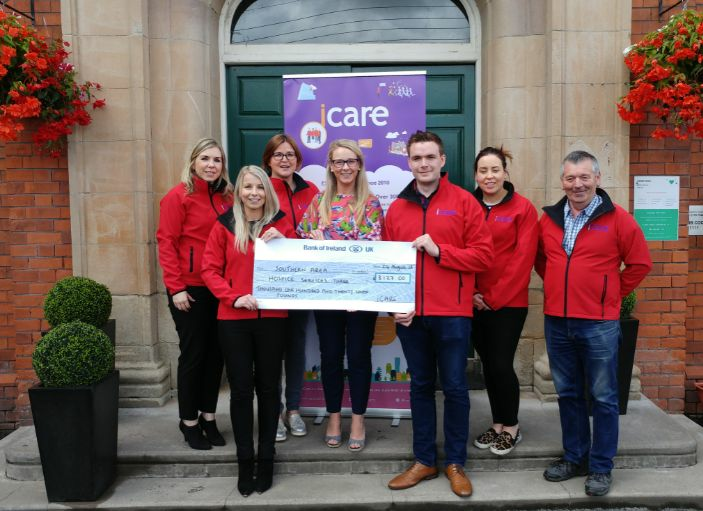 15 June 2018 At a launch event held at Homecare Independent Living’s (HCIL) headquarters at Callan House, Milford attended by staff, sports club’s representatives and local supporters, iCare announced the date for its eagerly anticipated annual Purple Run. 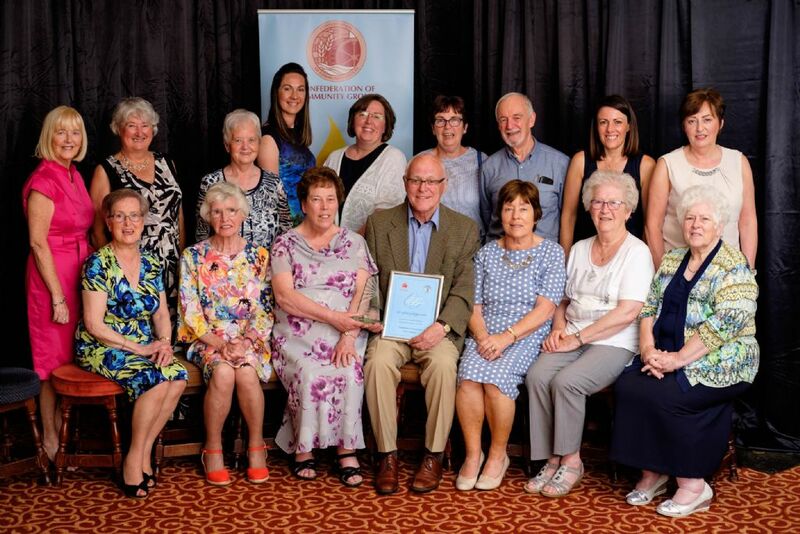 13 June 2018 Congratulations to our fantastic team of Volunteers who won the ‘Community Project/Service Award’ at the Confederation of Community Groups 10th Annual Patricia Graham ‘Shining Light’ Awards on Friday 8th June.